The important thing about writing is. . . having a strong model to emulate! 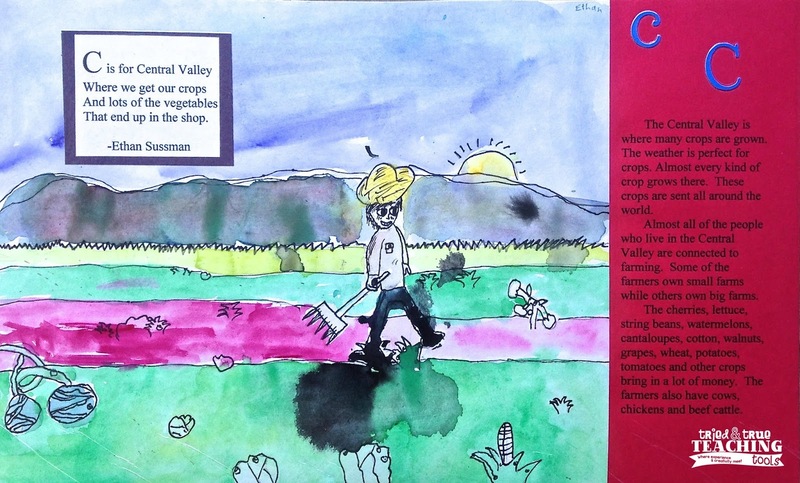 I love reading well-written picture books to my class, as we learn the language of writing from authors. 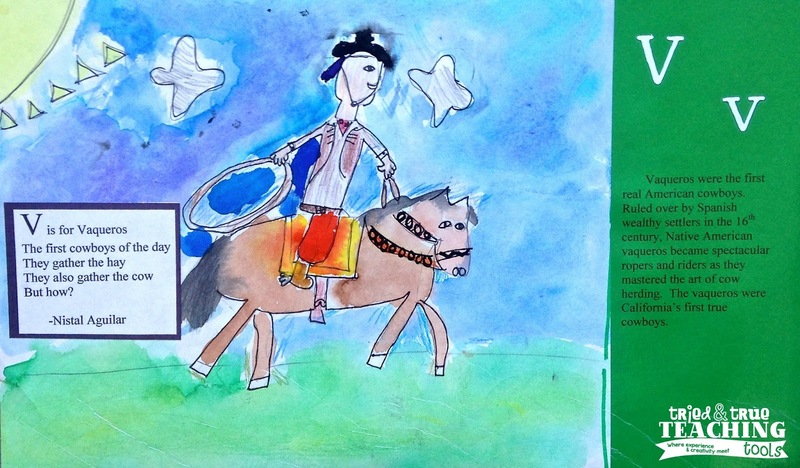 A favorite book to use as a mentor text comes from the series, Discover America State by State by Sleeping Bear Press. 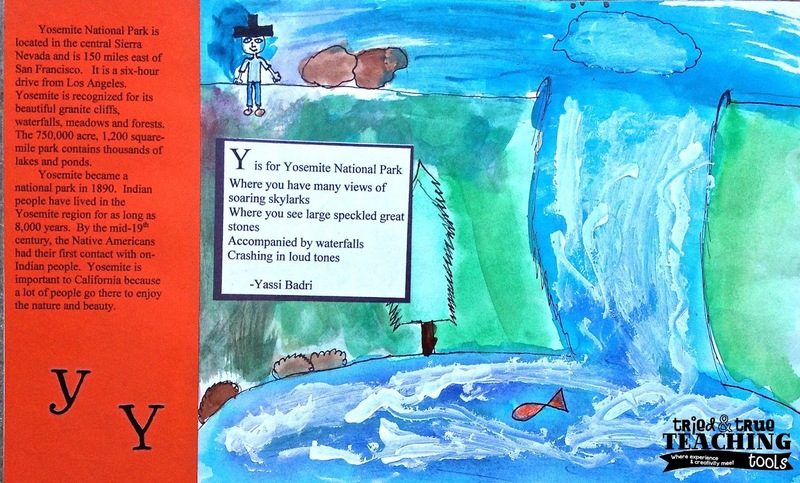 Each book focuses on a different state, with a simple rhyme for each letter, as well as informative text in the sidebar. 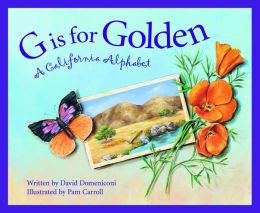 G is for California: A California Alphabet by David Domeniconi is a fact-filled, beautifully illustrated book. My class loved it so much that they wanted to write their own version! 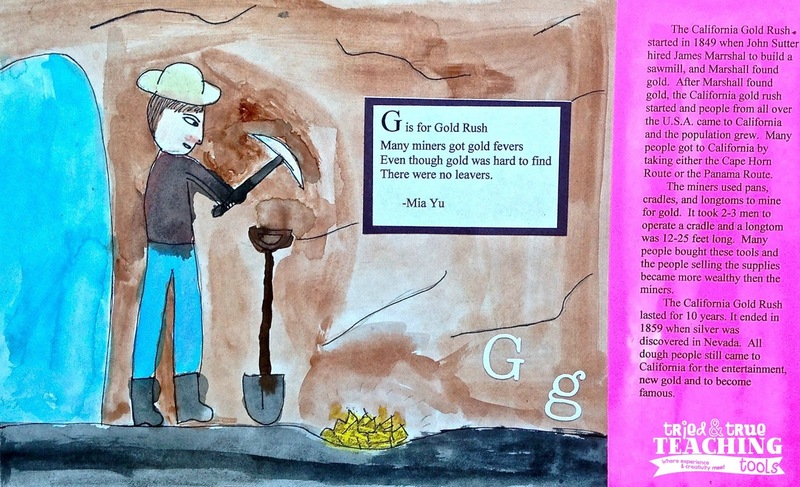 In this alphabet book, each page is set up with an upper case & lower case letter, a sidebar with facts about the topic, a 4-line rhyming poem to introduce the topic, with a large illustration.